Before you get to know more about eBay Partner Network, it is essential that you need to know about eBay in detail. Knowing eBay in a brief manner will let you know how things work out there. If you simply promote products from EPN without knowing about eBay, then you will simply end up with random clicks. You will not receive any proper conversions. How is EPN Better Than Other Partnerships? eBay first started out as AuctionWeb in 1995 and it bore that name until 1997, when Pierre Omidyar, its founder, revealed that he had initially wanted to name his company ‘Echo Bay’, just because it sounded cool. Sadly, that name had already been taken. But, like a bulb lightening up in the dark, Pierre suddenly got the genius idea to shorten Echo Bay, and that’s how eBay.com was born. Over the past 23 years, this company has grown quite impressively. It has landed itself a 6th place on the ranks of the most popular websites in the industry. And eBay has certainly made a difference in the world of e-commerce. eBay has easily achieved a commendable number of milestones over the years, including selling its one-millionth item in 1997, only two years after it was launched, which is also the same year it got its new name. It goes as an undisputed fact that the brand has quickly become a household name, one that people easily reckon with. In 1999, eBay sites were launched in Germany, Australia, and the UK, expanding the market audience. In 2000, its first University course was held, and in the same year, its first APL went live. This went on and on to the acquisition of PayPal. And its first live conference held at Anaheim, California, in 2002. In 2003, eBay bible was created by Jim Griffith, an employee. In 2015 PayPal got out, and in 2016 the company signed the ‘White House equal pay’ pledge. 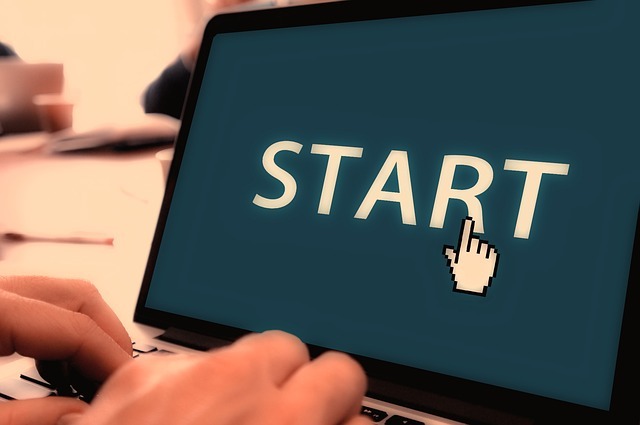 Its most recent accomplishment was launching its guaranteed delivery, as well as going live with ‘find it on eBay’ and ‘image search’ in 2017.
eBay might yet be one of the greatest breakthroughs of e-commerce in the world of business. It has managed to create an amazing atmosphere for buyers and sellers to meet over the years, with a top-notch level of untainted integrity. It now has several branches spread all over the world with its headquarters in San Jose, CA, USA. Reports have it that the headquarters has an impressive net worth or $36.6B, with about 12.6k employees. eBay.com has a record of over 250M classified users, 25M of them being sellers and about 168M active buyers. Statistics show that it has about 1.1B live listings, 2B daily transactions, and a total sales record of $8.98B. Apparently, it doesn’t just end there. eBay also has a mobile volume of $11B and records of about 380M app downloads. A visit is said to have the average duration of over 6 minutes and about 7.69 checked pages. This can only be expected with about 81% new items, 88% ‘available now’ items, and 69% free shipping items for sale, on daily basis. In fact, eBay has evolved from the broken laser pointer recorded as its first sale, to a thousand of other products today. Talk about tech, furniture, wears, there really is a shortage of things that cannot be found on eBay – that is, if there is actually anything at all. In the USA alone, over 432,000 collectibles are sold every day. Statistics report about 360 cars, over 12k pairs of ladies shoes, 8k handbags, 2k tablets, and 21k cell phones. In the UK, the figures are not too far behind at all – 720 cars, over 1k tablets, 14k shoes, and 5k handbags. Those are just about 2% of things sold on eBay. One may find some of the items that have been sold and purchased on the website ridiculous indeed but wait until you see even more ridiculous prices they were sold for. Did you know that in 2000 Justin Timberlake’s half-eaten French toast was sold for $1,025? And that is just the least of it. In 2011, Justin Bieber’s lock of hair was sold for $40k, and in 2015 someone actually bought water taken from Swan Lake, Armenia, for $3k, after Kanye West jumped in during his concert. William Shatner’s kidney stone went for the price of $25,000 in 2006. Ian Usher sold his life for $309k – well, literally. He sold his house, car, everything he had that he could call his own. More on the list are Giga Yacht, Gulfstream II, lunch with Warren Buffett, Town of Albert Tx – US, Ferrari Enzo, Town of Bridgeville, CA, USA, and a house with war-proof bunker. Convinced that there is nothing you can’t find on eBay? The company has also acquired other companies over the years, including Up4sale, iBazar, Gumtree, Skype, StubHub, PayPal, etc. However, PayPal managed to buy itself out years later. Its latest acquisition is Terapeak Inc.
One could easily agree that it is the older working-class group who patronize the website. Bidding is done quite professionally with maximum bids being kept secret. Early entries usually deter competitions. And it pays to know your competition really well – just in case you have never partaken in the bids but planning to do so. Of course, the highest bidder wins, and bidding odd numbers are usually advised. eBay is easily known as the highest auction market in the industry. eBay has proven itself a company that isn’t just about buying and selling but serving with a difference. In 2008, it got the National Medal of Tech and Innovation. And, in 2012 it won the award for World’s most ethical company. It has also played a big part in charity, funding several non-profit organizations. In 2001, about 1k users managed to raise over $10M for the 9/11 victims. eBay has also managed to create an avenue through which users can benefit. 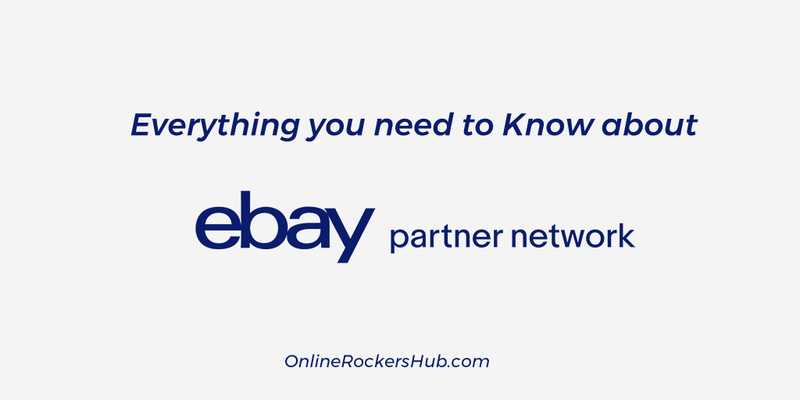 It’s called the ‘eBay Partner Network – EPN‘. 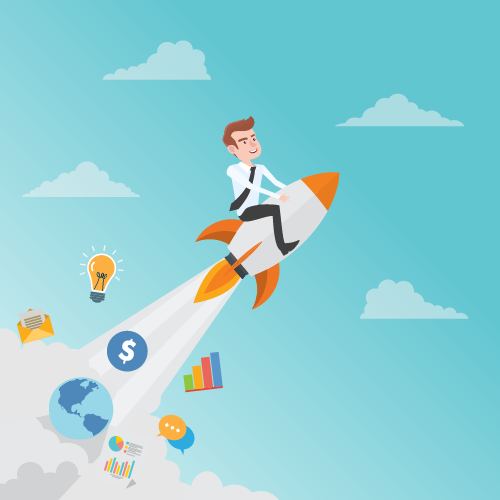 The EPN is a special in-house affiliate program, which provides users with resources to monetize their social pages, mobile apps, websites, and a limitless number of other online properties. It is quite simple – you help eBay drive high-quality traffic to its site and get paid for that. In plain terms, referrals. That’s right. You help promote its franchise on all your media pages and sites, and the more buyers you bring to the table, the higher your pay gets. Just imagine if you used all those hours you spend on social media, streaming videos, and liking posts to promote eBay and get paid for it. Apparently, most of its affiliates view EPN as a brand with an unmatched range of global brand recognition. The fact that it has high conversion rates also serves as a bonus incentive. 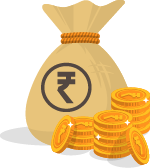 Competitive earnings are made based on category level commission. That is, the percentage you get for a referral depends on which category the products purchased by the referred personnel falls into. Also, a particular class of referred buyers attracts impressive referral bonuses. Seasonal offers also attract bonuses and promotions. EPN offers its affiliates access to one of the largest online markets out there. It has an extensive global reach. So it kind of takes you to every corner of the world, in the comfort of your own space. As we have stressed earlier, there are several buying options to ensure that your referred persons do not lack things that perfectly suit their needs. What’s more is that ePN serves as a support and conversation channel. You get to connect with people from all areas of your daily life. And every wise man knows that, in most cases, connection equals wealth. If you are already considering to become a part of this, we have some good news for you. Applying is quite easy and it takes less than 5 minutes. You can apply to become part of the movement very quickly. And, one of the best parts yet is that there are no exclusivity rights. This means that you can be an affiliate of so many other partnership networks, and you get to promote them all without anyone breathing down on your neck – at least not eBay. After your application has been accepted, you are granted access to the publisher’s portal. Here, you get unlimited access to banners, buttons, pot links, APL, and a host of others to add to your website or social pages for promotion. We should note though that this varies from being as simple as copy and paste to be as advanced as using APL’s to create more customized solutions. However, you have the freedom to make your choice of tools to begin work with. It is advisable to make your choices on items or categories that would best suit your audience, your page’s content, look, and feel. Of course, it also has to be something of which you have adequate tech knowledge, and there is always room for learning as you go. One could easily get a hang of it. As discussed earlier, when your referred shoppers complete a winning bid or a ‘Buy It Now Purchase’, you earn a percentage of eBay’s revenue. The more revenue your traffic regenerates, the more money you earn. Commission rates of about 40-80% are based on categories of items purchased. New and reactivated eBay buyers get 200% bonus. Furthermore, monthly payments are made via deposits or PayPal. EPN tries its best to keep things as simple and transparent as possible. It handles tracking and reporting, which helps affiliates to view their progress – traffic and earnings – on the publishers portal. That way, you get to be assured that you are not being cheated and that all transactions are being carried out. EPN is constantly on the mission to improve tools, products, and compensations. This will ensure the friendliness and ROI positivity of programs for its partners. Apparently, it considers its affiliates as true business partners and holds them in high esteem. A system has been created so that reports and analytics serve as a gauge to help measure, test, analyze, and prioritize efforts as you move forward. This is the perfect example of ‘the higher you go, the cooler it becomes’. In addition, eBay listings are usually used to enhance already relevant site content. The most successful partners actually focus on making an all-encompassing wonderful user experience. Some of the media networks that are certified medium for promotions, like the eBay daily deals or other discounts include Facebook, Twitter, and Tumblr. However, there might as well be a host of others. As long as the network has no reserved rights against sharing affiliate links, you are free to go ahead with your promotions. WordPress also happens to be a good site for such business. After becoming an affiliate of eBay, one could easily start up a WordPress account, and get on with promoting. We can assuredly tell you that there are none. EPN encourages anyone interested in becoming an eBay affiliate to apply as soon as possible. If you agree to its terms and conditions, the likelihood of getting an approval is very high. So really, there are no unnecessary high ends to jump off from to become a member. Develop relevant copy and regularly update it. Encourage user generated content, such as product reviews. Integrate eBay listings into your site. This generally performs better than static creative or text links by themselves, unless text links are embedded into the relevant content. Use the data you have about your visitors’ demographics and interests to showcase the most relevant listings. Always inform a user she is going to eBay. Use the geo-targeting functionality to ensure your traffic is directed to the most relevant eBay site. Consider which landing page on eBay you direct your traffic to carefully; the eBay homepage is not always the best option. Use advanced search options to further target your landing pages. Continually measure, test, analyze, and optimize. For your convenience, you can listen to this same post on Youtube too. These are just a few ‘tricks’ that may keep your traffic on the high side and consequently boost your earnings. We hope with all of these pieces of information you have all the gear you need to become a powerful eBay affiliate today. Note: This is a guest post by Josh Wardini. If you an awesome content to contribute, then proceed with our guest blogging guidelines. Top 5 Ways to make money on Facebook Live!